Today being Septuagesima Sunday I piously decided to take down my Christmas tree. Septuagesima Sunday is sort of the start of Lent. Lent does not technically begin until Ash Wednesday but the countdown begins today. 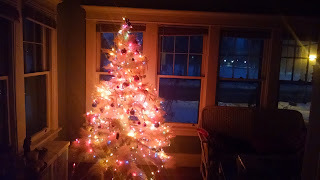 I had been talking a good game about keeping my tree up till Candlemas on Feb. 2. But how do you argue when Lent begins to cast its shadow? The Nativity Scene was gone from St. Anthony's this morning. The priest wore purple vestments. And there was my tree, still in the window? T'aint right, I lectured myself. Take it down. And while you are at it, take all those Christmas magazine issues you have been cooking out of and put them away until next year. But then, being that I have trouble making decisions, I decided to get on the Internet and double check. I Googled "Catholic When To Take Down Christmas Tree." There were the usual folks saying Epiphany. Yeah, yeah. That ship has sailed. One Catholic site, I am not going to call it in, but it said, "Observe the holiday of Epiphany by taking down your Christmas tree." What kind of a sad sack holiday observation is that? Someone has something screwed up. When Epiphany comes that is when you unpack your little statues of the Three Kings and place them around your manger scene. Then you make King Cake and feast on it with your friends. Fie on that Web site. Fie! Then I found this essay on the Catholic Answers web site. It was titled "Catholics! Keep Your Tree Up." And it concluded that it is right and just to keep the tree up until, yes, Candlemas. Even if Septuagesima Sunday gets there first! He specifies that. "If you want to be really traditional, you can celebrate what the faithful called “Christmastide” before the liturgical reforms that followed the Second Vatican Council. In the old rite, or what we today call the Extraordinary Form, Christmastide lasted for 40 days to correspond with the 40 days of Lent, and the 40 days from Easter to Ascension Thursday. 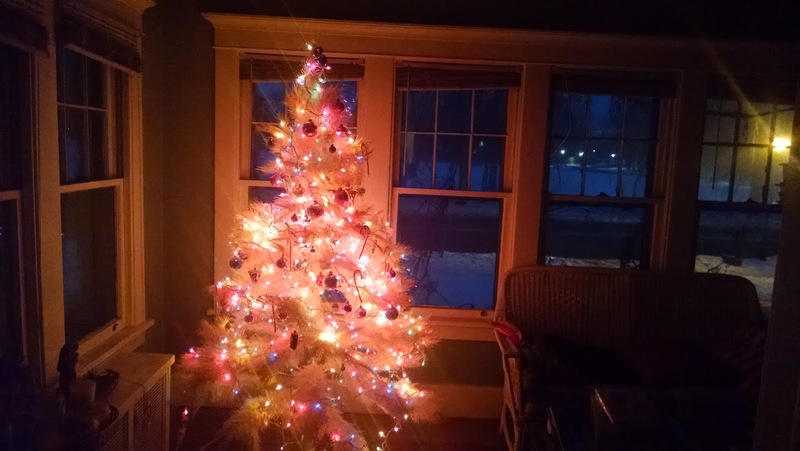 End result, as we say here in Buffalo: instead of taking the tree down I plugged it in. Jeoffry was dancing at my heels. He loves the Christmas tree. We are always finding him just sitting there gazing at it. He sat down right then and there and feasted his eyes. He is a Trad Cat! Perhaps I will listen to Christmas music. Perhaps I will bake more cookies. On the other hand ... definitely I will!